En 1996 ya había una edición revisada a cargo de University Press of Colorado. La de 2008 parece ser la 3ª edición. 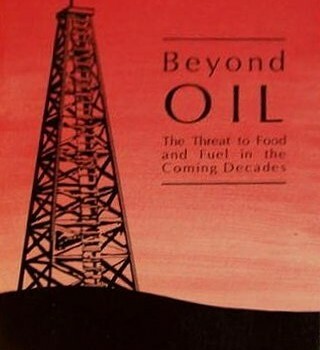 Since the publication of the first edition of Food, Energy, and Society, the world’s natural resources have become even more diminished due to the rapid expansion of the global human population. We are faced with dwindling food supplies in certain geographic areas, increasing pressure on energy resources, and the imminent extinction of many threatened species. In light of these major issues, this third edition presents an updated and expanded analysis on the interdependency of food, energy, water, land, and biological resources. Written by internationally renowned experts, the book includes new material on livestock production and energy use, the impacts of pesticides on the environment, and the conservation of biodiversity in agricultural, forestry, and marine systems. It also compares the energy inputs of crop production in developing and developed countries, covers the agricultural and environmental issues related to water resources, and details the threat of soil erosion to food and the environment. In addition, the book explores the very timely topics of solar energy, biomass systems, and ethanol production. Offering a startling glimpse at what our planet may become, this edition shows how to achieve the necessary balance between basic human needs and environmental resources and provides potential solutions to the host of problems we face today.